If the Samsung Galaxy S8‘s fragility held you back from picking one up at launch, there’s good news: The Galaxy S8 Active is here, and it’s one of the most durable high-end flagship smartphones on the market. 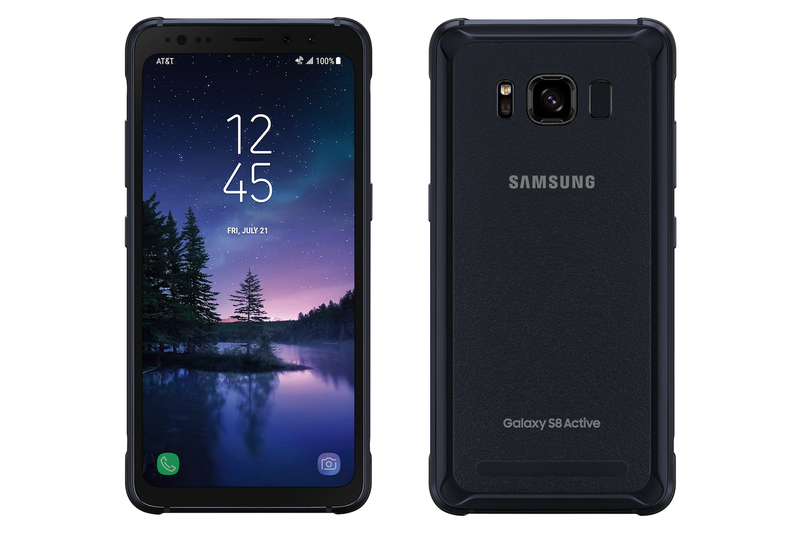 The Galaxy S8 Active sports a massive 5.8-inch display, a special impact-absorbing bumper, and a military-grade metal body that resists shocks, shattering, water, and dust. But the Galaxy S8 Active’s durability comes at a cost. Its screen isn’t curved on either side like the Galaxy S8’s, and the metal frame makes it a good deal bulkier than the S8. Then there’s the matter of the Active’s availability. Unlike the Galaxy S8, which is available from every major carrier, the Galaxy S8 Active is exclusive to AT&T. Deciding between the two phones is not an easy decision to make, but we’re here to help. Read on for an in-depth comparison between the Galaxy S8 and the Galaxy S8 Active. 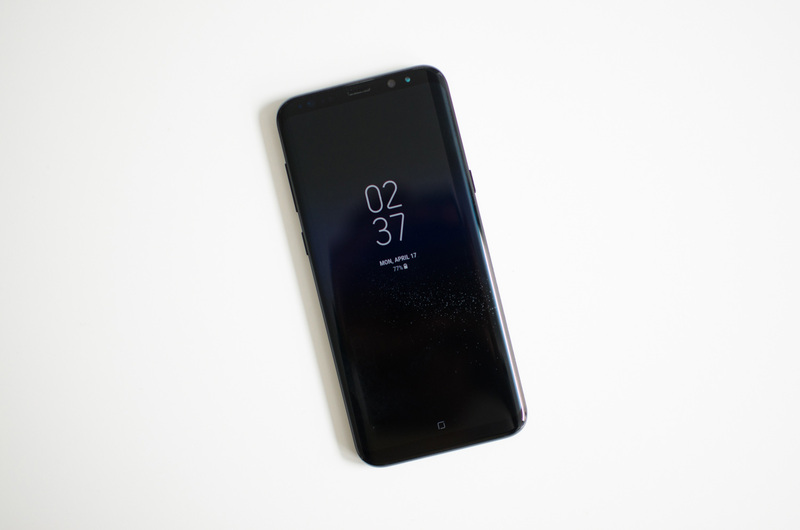 The Galaxy S8 Active shares a lot in common with the Galaxy S8, retaining most of the Galaxy S8’s cutting-edge guts such as Qualcomm’s Snapdragon 835 processor, and 4GB of RAM (international variants use Samsung’s Exynos 8895). Qualcomm claims the chip boasts 27-percent better performance than its predecessor, the Snapdragon 821, and the Galaxy S8 really shows it — in our testing, it rarely stuttered or suffered from slowdowns. We’ll have to wait until we get our hands on the Galaxy S8 Active to say for certain, but we’re expecting more of the same great performance. The Galaxy S8 and Galaxy S8 Active offer the same amount of storage, too. Both phones pack 64GB of internal memory and a MicroSD card slot that can accommodate extra data, if you so choose. Given that the Galaxy S8 and Galaxy S8 Active have the same processor, RAM, and storage options, we’re calling this round a draw. The Galaxy S8 Active looks almost nothing like the Galaxy S8, and that’s by design: It’s meant to take more punishment. For the Galaxy S8 Active, Samsung adopted a flatter look that weathers the elements better than Galaxy S8’s curved glass. The Active’s frame, which is notably thicker than the S8’s, buffers the screen against bumps and jostles, while the phone’s metal sides and polycarbonate rear protect it against scratches. But all that ruggedness comes at a cost. The Galaxy S8 Active does away with the Galaxy S8’s curved screen, and instead settles for a flat panel with curved corners on all four sides. 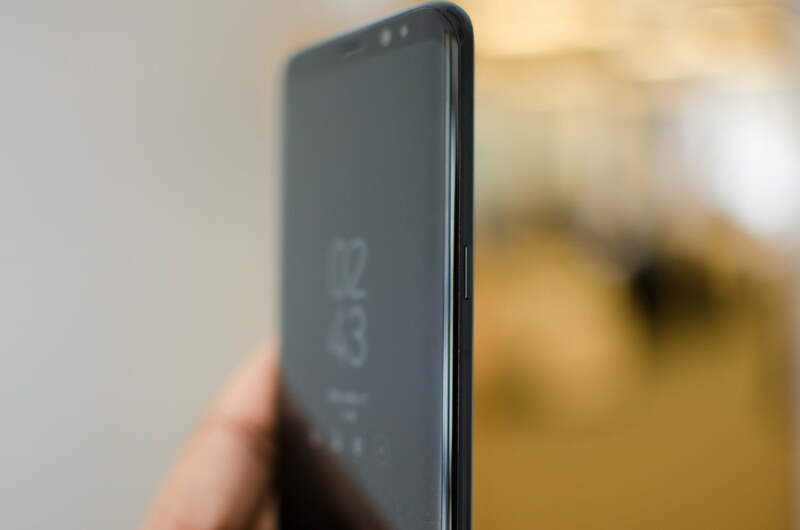 The display features the same 18.5.9 aspect ratio and resolution (2,960 x 1,440 pixels) as the Galaxy S8, but the edges around it are noticeably thicker. All that makes the Galaxy S8 Active heftier than its predecessor. Samsung hasn’t released the official numbers yet, but we’re expecting the Active to weigh more and measure a good deal thicker than the Galaxy S8. In most other respects, the Galaxy S8 Active is cut from the same cloth as the Galaxy S8. 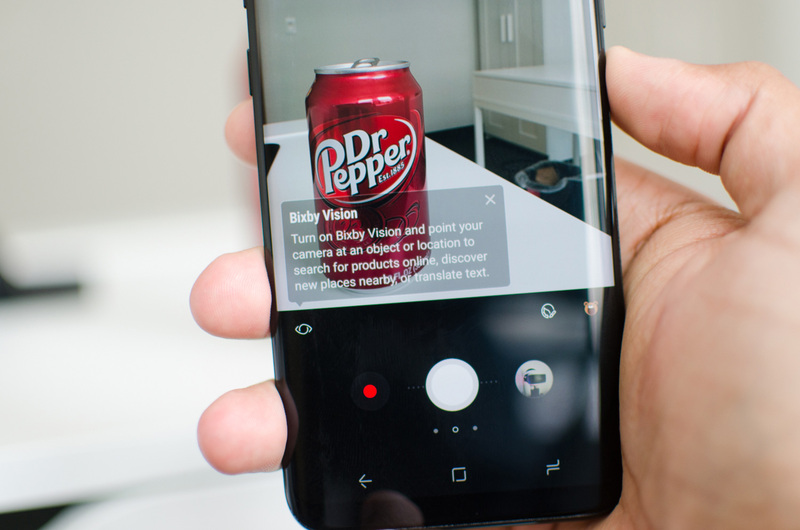 The Active’s fingerprint sensor is in the same awkward position near the top of the phone’s rear camera, and the Galaxy S8’s infamous Bixby button, which launches Samsung’s virtual assistant, is also present and accounted for. It’s a tough call between the Galaxy S8 and S8 Active in the design department, but we’re giving the Galaxy S8 the win. Its stylish, portable, and boasts an edge-to-edge display that’s one of the best-looking we’ve seen. There’s no question that the Galaxy S8 Active more durable than the Galaxy S8. 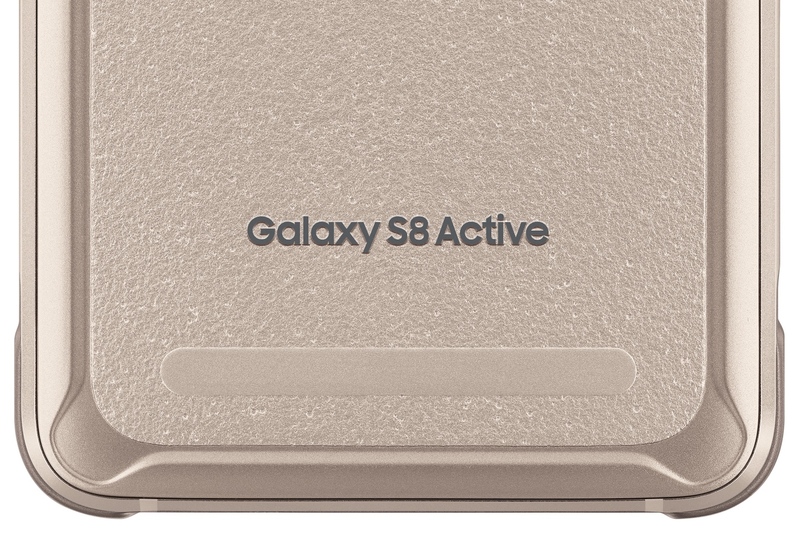 Samsung says that the Galaxy S8 Active passed military specification (MIL-STD-810G) testing against 21 extreme temperature, vibration, and pressure conditions. This means it can withstand drops of up to five feet, at least when landing on a flat surface. And when it comes to water, the Galaxy S8 can survive up to 30 minutes in a 5-foot pool. The Galaxy S8 is IP68 rated, but its curved screen tends to scratch easily, and its it lacks the Active’s military-grade materials. For that reason, the Active wins the durability category. It might be a little bulkier than the Galaxy S8, but we think the weight is worth the added peace of mind. The Galaxy S8 Active might not be as slim and lightweight as the Galaxy S8, but it makes up for it with a larger battery. The Galaxy S8 Active has a 4,000mAh battery, while the S8 boasts a 3,000mAh battery. Samsung hasn’t released battery life estimates for the Active, but we’re expecting it to last a good deal longer than the Galaxy S8, which averages a full day with moderate to heavy use. With any luck, the Active will last about a day and a half on a single charge. Both phones benefit from the Snapdragon 835 processor’s efficiency optimizations, which boost battery life further, and they both support wireless charging (Qi and PMA) as well as Samsung’s Adaptive Fast Charging technology. We’ll have to put the Active to the test, but we’re predicting it’ll edge out over the S8 — especially considering the two share the same screen resolution and processor. The Galaxy S8 has a great camera, and it’s the same on the Active. The S8 and S8 Active have a 12-megapixel rear camera that hasn’t changed all that much from the Galaxy S7’s camera, but that’s a good thing. Its 1.44 micron pixel size and f/1.7 aperture shoot great low-light photos, and the dual-pixel design speeds up autofocus. In our testing, we were impressed by the rear camera’s color accuracy and picture quality. And we came to appreciate shooting modes such as Selective Focus — which is similar to Apple’s Portrait Mode — and Panorama. It’s pretty much the same story with the Galaxy S8’s front-facing camera, which is the same as the Active’s. It ships with Snapchat-like stickers, masks, and filters that work pretty well, and an impressive “Wide Selfie” mode that stitches multiple photos together to capture crowds. Because the Active and Galaxy S8 have identical cameras and camera software, we’re calling this round a draw. We’ll compare the two more closely when we get our hands on the Active, but for now, we’re estimating the same performance. The Galaxy S8 and Active ship with TouchWiz, Samsung’s Android skin. Unsurprisingly, the two versions are identical. TouchWiz also supports DeX, a docking station (sold separately) that transforms the Galaxy S8 and Active into a fully functional desktop replacement. 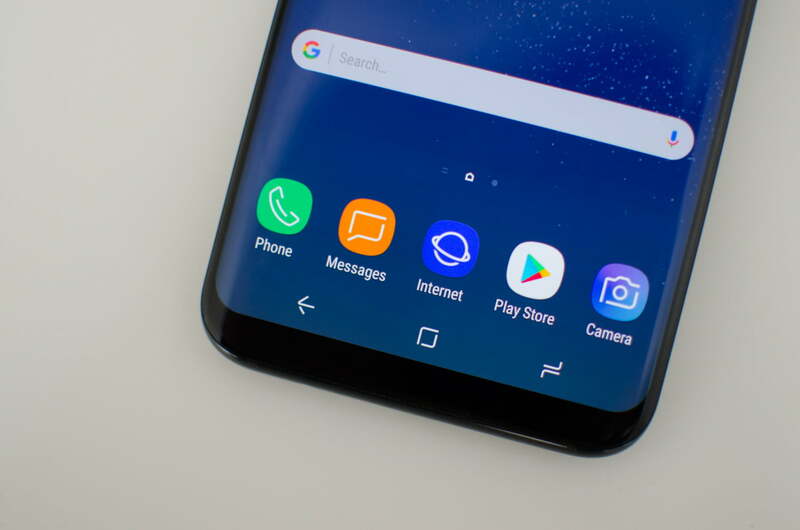 When the Galaxy S8 is in desktop mode, you get a Windows-like interface that supports mouse and keyboard input, and a suite of apps that can be resized to suit your multitasking needs. For obvious reasons, wee’re calling a tie between the Galaxy S8 and S8 Active when it comes to software — after all, they come pre-loaded with the same apps. The Galaxy S8 isn’t cheap, and neither is the S8 Active. Here’s quick rundown of pricing for the two devices. Nonetheless, the Galaxy S8 has a leg (or two) up in the pricing and availability department. It starts at $720, meaning it’s more than $100 cheaper than the Galaxy S8 Active. It’s available from all four major carriers in the United States, too, as opposed to the Active, which is exclusive to AT&T for a limited time. It also comes in six colors (silver, black, gray, blue, rose pink, and gold) compared to the Active’s two (gray and gold). For those reasons, we’re crowning the Galaxy S8 the winner. The Galaxy S8 Active and Galaxy S8 may share the same DNA, but they’re different products for different people. If you value style, portability, and compactness above all else, the Galaxy S8 is the phone for you. It boasts a stunning edge-to-edge screen and a water-resistant glass body. And more importantly, it’s available from all major carriers in the U.S. But if you want a smartphone that can stand abuse, the Galaxy S8 Active is the choice for you. It’s a moot point if you’re not an AT&T customer, however, as the Galaxy S8 Active is a carrier exclusive at the moment. If you do choose the Active over the S8, you’re getting a phone that’ll come away unscathed from drops, survive dips in shallow water, and resist scratches from all the sharp objects you’re carrying in your pocket.